Even if Nordost has been having great success with their original System Set-Up & Tuning Disc, they are now very happy and proud to introduce a newly upgraded disc-set that exceeds their initial product. The upgraded version offers more content and features. 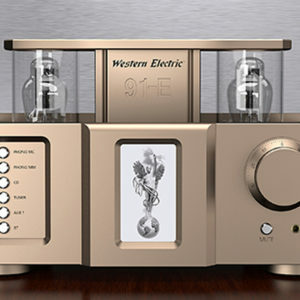 One of the objectives of most good sound lovers is to make sure your system sounds its best at all times. Arranging a new system is a painstaking and exacting task for even the most seasoned audiophiles. This two-disc set, provides the user with a unique mix of diagnostic tracks, calibration tools, and system conditioning aids that will help unlock the full potential of your sound system. 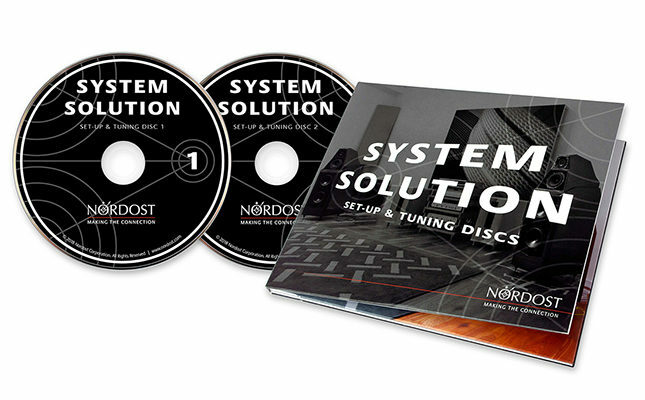 The System Solution by Nordost is an incredible tool for the installation, maintenance, and fine-tuning of any hifi audio system. The System Solution Set-Up & Tuning Discs include tracks that range from the simple, such as channel checks and pink and white noise, to the more complex and unusual LEDR tracks, timed frequency sweeps, and repeat drum beats. Nordost’s sound engineers have incorporated specially designed tracks to facilitate full-range loudspeaker positioning and the integration of subwoofers, and have even included a number of useful system service functions. Over the years, Nordost products have become integral components in preeminent recording studios around the world. This has given them the opportunity to incorporate musical selections recorded using Nordost cables as an exciting new feature of the set-up discs. These carefully curated tracks highlight specific aspects of system performance and will help you to further explore the subtleties of your newly-tuned system. This also means that Nordost users will have the ability to experience performances wired with Nordost from beginning to end! • aid speaker placement or subwoofer positioning and integration.